With a traditional broker account, private investors are usually only permitted to buy shares, in the expectation that the price will go up and they can then sell their shares at a profit. Short selling, the practice of selling shares that you do not own in the expectation that the price will fall, is not typically an option. However, spread betting enables investors to do precisely that. Even in the strongest of bull markets, there will be some companies who fail to live up to performance expectations, and their share price will fall as a result. Short selling, or shorting, means selling an instrument without actually owning it, with the intention of buying it back in the future at a lower price. Your profit or loss is then the difference between the price at which you sold the instrument and the price you paid to buy it back. 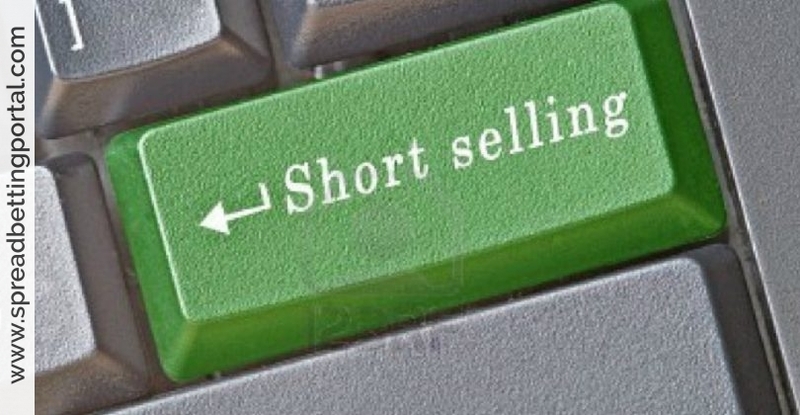 Shorting is the most common way of making money in a falling market and is very useful in a balanced dealing portfolio. Markets can lose value in the long term due to macroeconomic factors, or quite unexpectedly as a result of more micro factors such as a company reporting worse-than-expected earnings. In the case of short-term volatility, the ability to short sell with a spread bet presents new opportunities. Shorting also enables you to hedge your physical equity positions. Informed traders often do this to protect their portfolio against short-term drops in the market. For example, for a fraction of the capital invested in your portfolio, you may place a short spread bet on shares contained within it. This would ensure that even if you did lose money on your portfolio, your exposure to this risk and your associated loss is mitigated. The procedure for going short in spread betting is very similar to that for going long when you think the price will go up. The only difference is that you will be aiming for the share price to fall further. When you close a short position, you ‘buy’ to realise any profit or loss. Let’s take a Barclays trade. Normally, we open the deal by clicking the ‘buy’ button, and then close it using the ‘sell’ button. This process is reversed if we want to open a short position: we click ‘sell’ to open the position and then ‘buy’ to close it. On 25 September, Hornby announced that it would not meet expectations for the full year, and that it would only break even as a result of poor sales of Olympics merchandise. The shares duly fell around 30% on the day. Hornby’s difficulties demonstrate that with spread betting it is just as possible to make money by going short as it is to go long. This opens up some excellent opportunities that are not usually available with a standard broking account. Upcoming earnings results. Let’s say you have 1000 shares in Barclays, and you’re concerned that their earnings report may be poor. 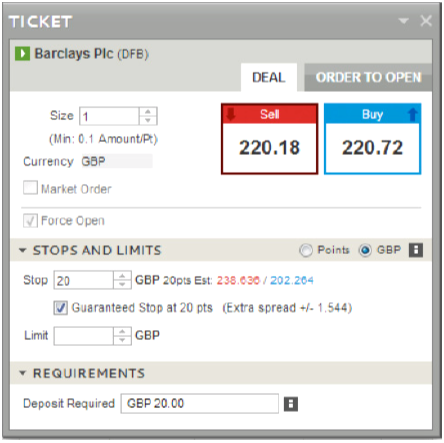 To relieve the pressure on your shares without selling them and incurring Capital Gains Tax, you could open a spread bet ‘selling’ Barclays. 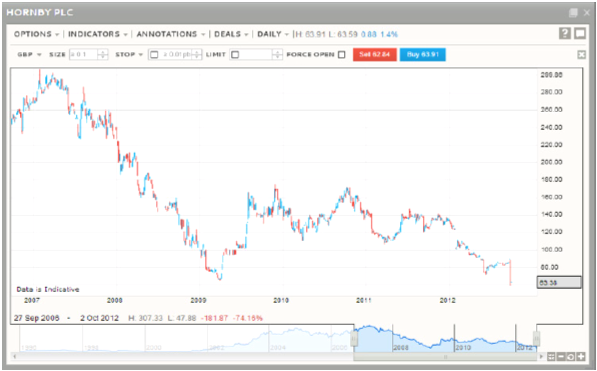 If you ‘sold’ at £10 per point, for example, this would give you the same exposure as 1000 shares. For a fraction of the capital you’ve invested in your physical shares, you have opened an equivalent position against them just in case. Imagine you hold shares in several FTSE 100 companies. One evening you notice that the Dow Jones is dropping significantly, and you’re concerned that this might be the start of a bout of weakness in the markets. To hedge the exposure of your shares portfolio, you decide to short-sell the FTSE 100. 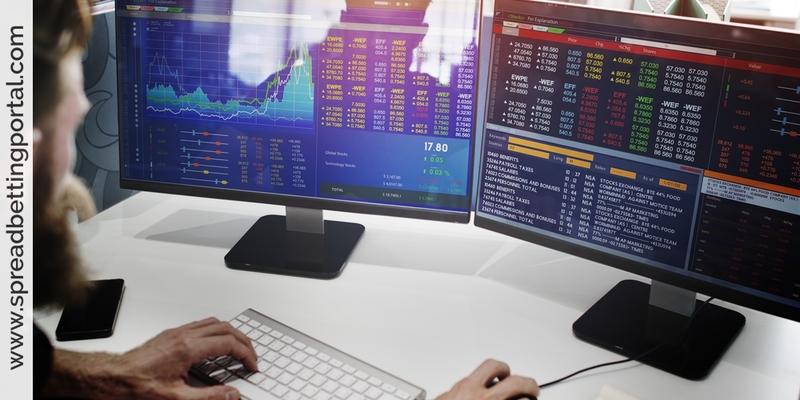 As a provider like IG Index offers 24-hour dealing on the FTSE, you can open a spread bet in the evening to protect your portfolio from short-term weakness that may start when the FTSE opens in the morning. You hold a number of mining stocks in your portfolio. Since these often move together, you decide to reduce your risk by selling the entire sector using an IG sector spread bet. This allows you to hedge all of your mining stocks with just one deal. In these examples, we can see how spread betting can help you stay market neutral during short periods of uncertainty. If you want to hedge your exposure in the longer term, you may like to try trading CFDs. CFDs are more like traditional share trading, as they do not expire after a set time period as spread bets do. You can hold a CFD position in a company for as long as you like without having to consider expiration dates or rollover costs. 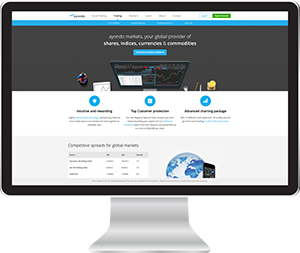 In summary: Spread betting makes it just as easy to go short as go long, as you’re speculating on the direction a price will move rather than entering the physical market. This makes it an effective way to capitalise on falls in the underlying market, and a useful protection tool for hedging your physical portfolio in the short term.